In order to participate you must be of legal age and in possession of medical racing. The registration will take place directly on Wodcast. The race will be held Saturday, April 30, 2016. The registrations will expire Saturday, April 23, 2016 . The fee will not be reimbursed for any reason, except in case of cancellation of the event because the organization. Accepted to compete in a sporting manner. Behaviors sports, including but not limited to: doping, disputes, quarrels, squabbles, offensive or other behavior that can discredit other participants or observers or actions that prevent other participants to have the opportunity to compete, will be subject to penalties, suspension, disqualification, removal and lawsuits. The team of OPEN category will consist of 4 men and 2 women. The team of MASTER 35+ category will consist of 2 men and 2 women. 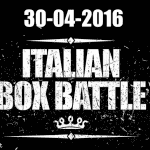 Being a race that was created with the idea of a contest between the Italians are invited Box Owner enrolling team actually composed of athletes belonging to the same box. The team can still be made ​​even by athletes from different boxes but with OBLIGATION to join the race with the name of a box affiliate. Each box may enter 2 teams in the category OPEN and a team in the category MASTER 35+ (ex . : CrossFit Redwall team A, team B Redwall CrossFit, CrossFit Redwall master team). The race includes four WOD qualification (the day of the race) and 1 WOD final. They required all STANDARDS in the category OPEN. They required all STANDARDS category MASTER 35+ regarding men while women are excluded muscle ups and handstand walk. The events will have more judges chosen by the organization to examine every competitor in the execution of each exercise. The decisions of the judges on all matters will be final. The organization will not be responsible for any incorrect or inaccurate information caused by participants, CAUSED BY malfunctions, unauthorized human intervention in any part of the event, injury to persons or belongings, theft, disruption of the competition for reasons of paramount. The SunWod is the main partner for logistic support during the competition.